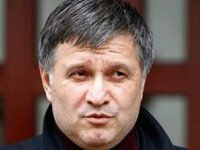 Ukrainian Interior Minister Arsen Avakov says he signed an order on dissolving the Tornado special patrol company of the Ukrainian Interior Ministry on Thursday. "I signed an order today on dissolving the Tornado company, and all its members have been taken off the paycheck. An internal investigation led by the head of the internal security department has already been started, everyone will undergo a direct interview, charges will or will not be brought against everyone, and some will be brought before a court and some not," Avakov said at a news conference in Kyiv on Thursday. The Interior Ministry reported on June 17 that its internal security department jointly with the Prosecutor General's Office's main military prosecution service detained the commander of the Tornado patrol company and seven of its members, among them active and former policemen, suspected of having committed a number of serious crimes in the Luhansk region.